Recruiting new nurses in the midst of the nursing shortage can sometimes feel like Sisyphus rolling a rock up a hill. In addition to overcoming obstacles like nurse burnout and low nurse to patient ratios, hospitals and facilities also face challenges over issues like pay, supervisor/nurse relationships, and difficulty retaining millennials. Despite these issues, the need for qualified nurses is still as relevant as ever. As an organization, it’s up to you to create a strong strategy for nurse recruitment, and also to retain your nurses once they’re hired. If you're looking to find and retain nurses, you should have a solid strategy in place to attract top nurses, and retain them once they're hired. As Occam's Razor suggests, the simplest solution is often the right one. If you’re looking to attract the best candidates, offering the best incentives will often win the day. These include salary, benefits, and signing bonuses. However, don’t just limit your thinking to just those tried and true incentives. Sell your company culture, your location and your company’s vision for the future. Your company should commit to also supporting your employees when it comes to overall wellness. Since roughly one in four nurses experiences burnout during their careers, making sure that the nurses working for you have good patient ratios and aren’t getting burned out is also important for nurse recruitment. For nurses, mental health is as important as physical health, and as an employer, paying attention to both kinds of health will help you to better retain your staff. Many millennials see changing jobs as the best way to advance their careers. However, by positioning your company as a place they can grow and continue to be valuable, employees will feel they can take that next step without leaving the company. If possible, offer access to the tools to make growth happen, which could be anything from education grants or continuing education courses, access to extra training and development opportunities, or mentorship programs. The more you can encourage your nurses to stay and grow with you, the less turnover you’ll experience and the happier your nurses will be. For more tips on retaining millennial nurses, we love this post from Portia Wofford, founder of Your Nurse Connection. If you’re looking to create a solid strategy for nurse recruitment, using technology is a must. Most nurses (especially millennial nurses) have been using technology most of their lives, so being active on social media is a way for facilities to remain relevant, and also to show aspects of company culture. You can also use social media as a way of attracting new candidates (which we wrote about here). In addition, investing in technology for your facility, whether that’s a smart room or a hybrid operating room, can also help with nurse recruitment. Many nurses are attracted to working with top-of-the-line equipment and advertising these features can be effective to attracting nurses. Technology doesn’t just help with retention. You can also use technology to find qualified candidates in the first place. 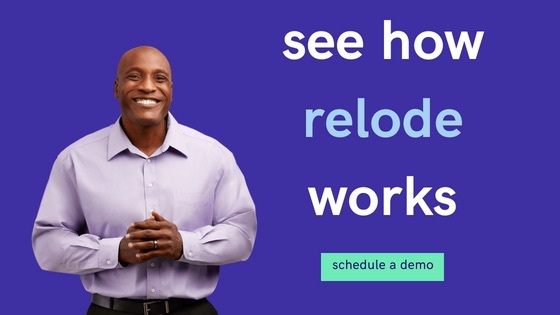 Crowdsourced models like Relode’s, along with other technologies can also help your organization to reach more qualified candidates, no matter their location. If you’re a hospital with a relationship with a nursing school, you probably already have a pipeline to qualified nurses. If you don’t yet have a relationship with a school, it can be an invaluable part of recruiting and training new nurses. Beyond just partnering, your facility might be able to ease some critical bottlenecks that occur in nursing education. It’s a mutually beneficial relationship that can make a major difference in your nurse recruitment strategy. If you want to take your nurse recruitment strategy to the next level, Relode can help! Schedule a demo with us today and we’ll show you how crowdsourced healthcare recruitment can make a difference to your organization.